I've had a kind of pottering sort of few days. 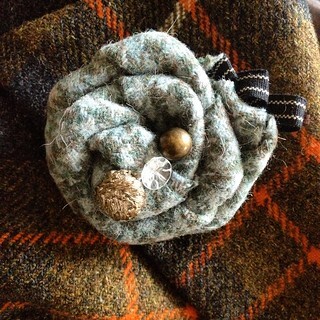 I've been playing with wet felt, and scraps of tweed; making roses and well just pottering really. The scraps left over from my Delphine skirt were just too lovely to consign to the scrap bag, and for once I've kind of enjoyed fiddling about with little bits. I don't usually enjoy that kind of sewing if I'm honest. 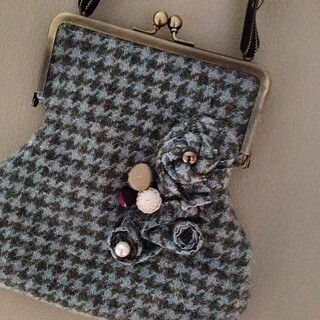 I had a couple of purse frames knocking about so thought I'd combine the scraps, the roses and the frames into a couple of little purses. The larger of the two is the least technically successful, but still pretty. 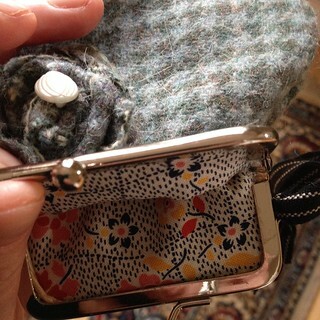 I used some lovely quilting cotton to line both purses. 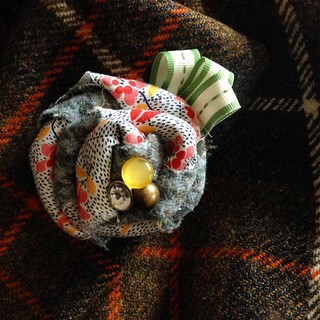 The scraps from the lining also got used up for some scrappy rose brooches too. My little mindee likes to help me choose buttons to sew on these. He loves playing in the button box. This one even has a spare button from when I made his Mummy's wedding dress a little over five years ago. So many pretties! 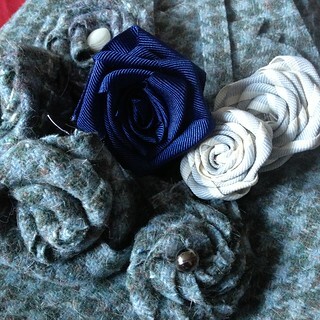 I love all the tweedy roses. 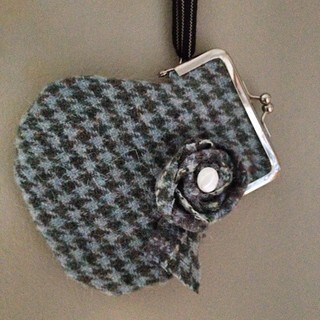 Cute purses! 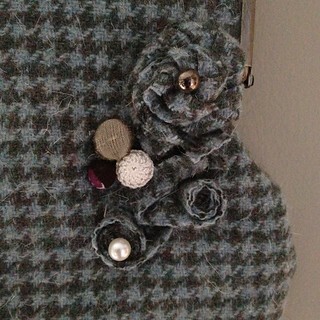 I love the little fabric flowers - I may borrow that idea to decorate my coat. So unique, love the shape. Wow, great Blog, I really appreciate your thought process and having it explained properly, thank you!